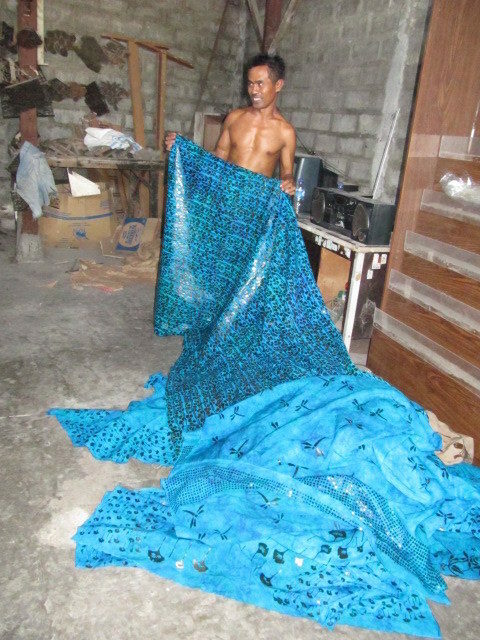 Tjap (pronounced “chop”) batik is a more “modern” batik method. Java (Indonesia) is largely given credit for developing this technique that makes it possible for images to be duplicated many times … and fairly quickly. In the beginning tjaps were carved from wood. 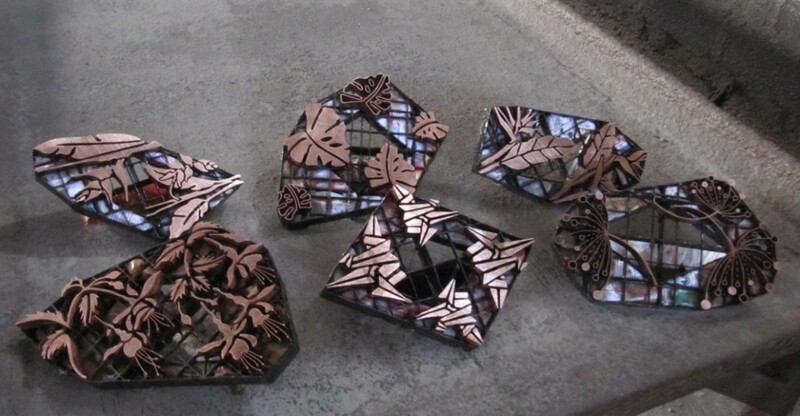 Now they are formed with copper strips and welded onto a sturdy steel frame. These tjaps are made from Barb’s own artwork. 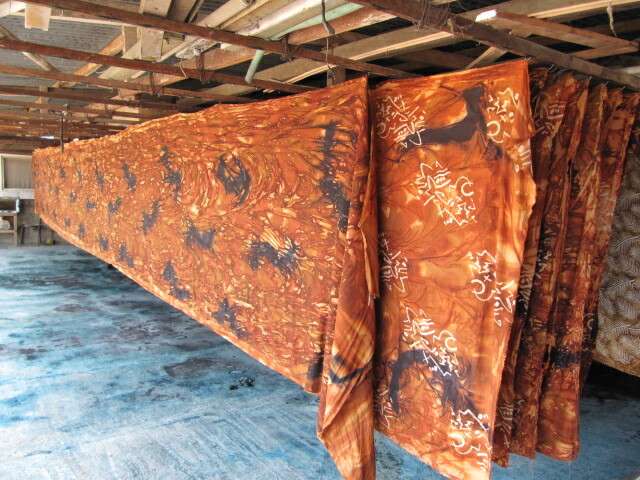 They were part of her 2010 rayon fabric line for The Batik Butik. Following a sketch or computer print-out a tjap is built. 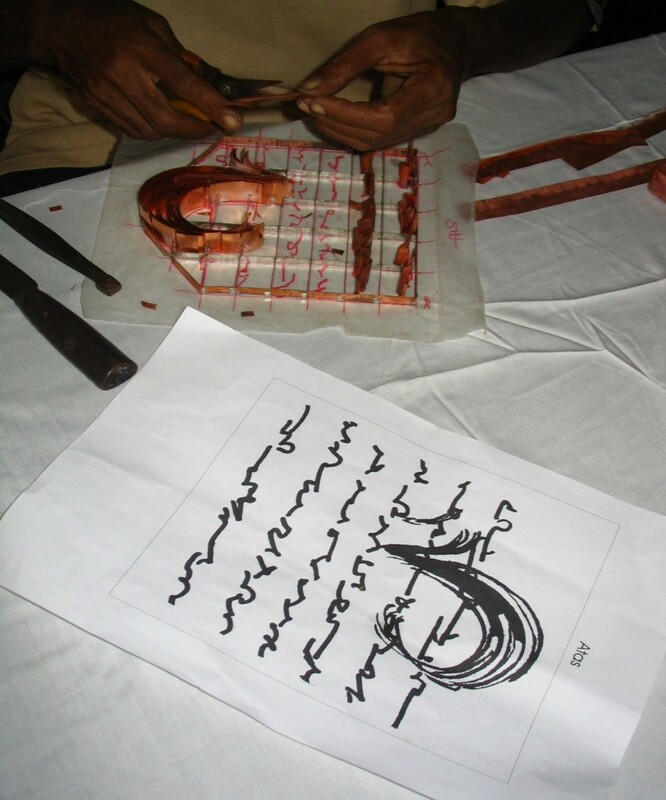 An artist’s sketch is traced in red ink onto wax paper and marked with a grid. 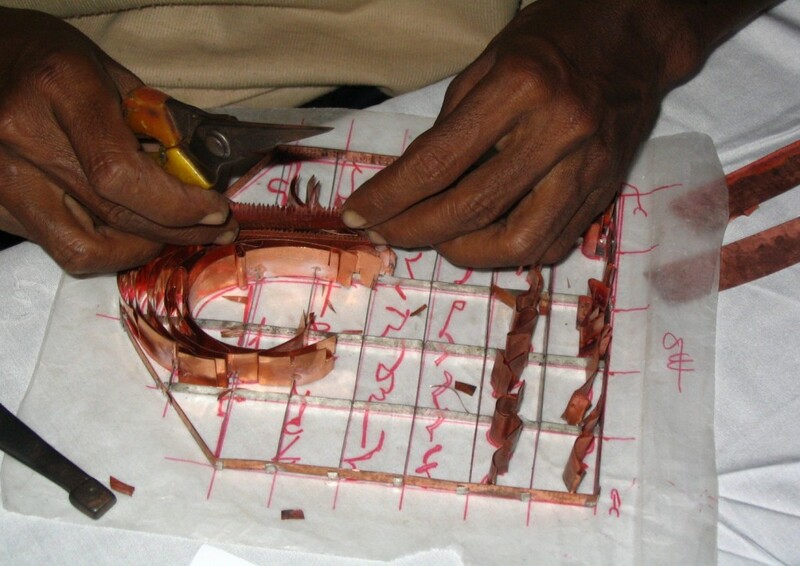 There is a corresponding grid on the copper frame and the tjap maker duplicates the artwork as he bends and snips the copper strips. The bits and pieces are then tapped into the copper frame that is later welded to a heavy steel frame. The maximum size for a tjap is 14 inches square. 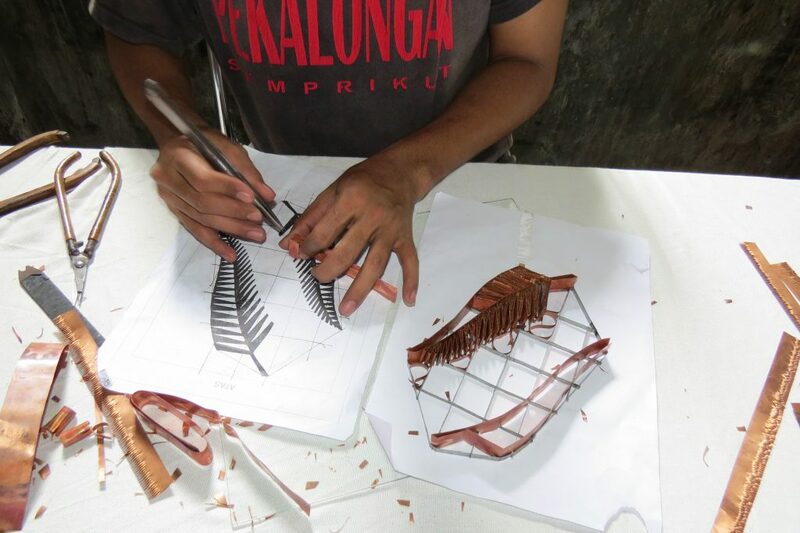 It can take up to one week to complete a tjap depending on complexity of design. 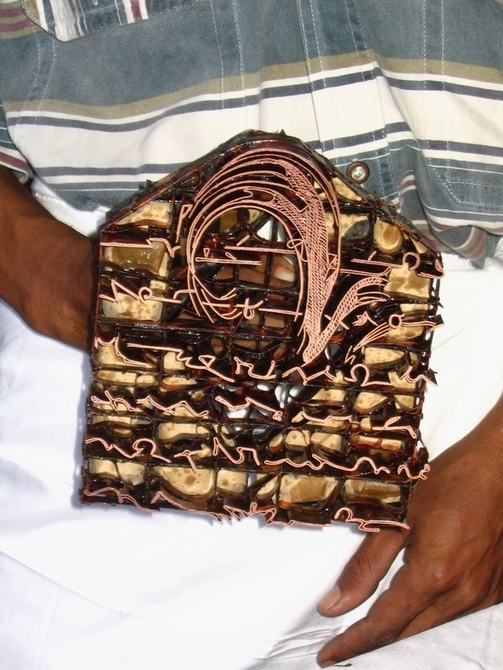 Several rows of copper strips are placed side-by-side where the image will be solid. One edge of each strip is snipped (like a comb) and the tynes are bent so melted wax will be held inside the tjap longer and release slower. 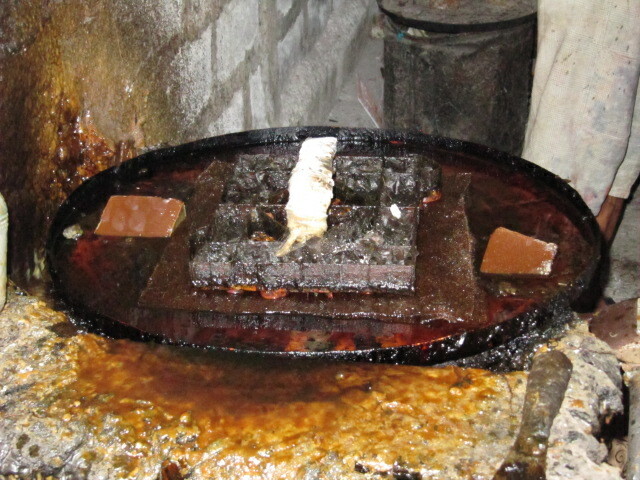 As the tjap comes in contact with the fabric melted wax is released. More wax is needed for the solid areas than for outlines. 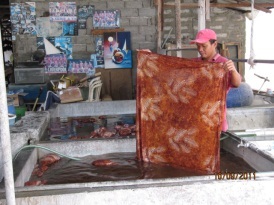 Batik wax is a mixture of bee’s wax and paraffin. A tjap rests on a felt pad as wax melts and heats to the desired temperature (so it will absorb through to the wrong side of the fabric). A tour guest tjaps batik. 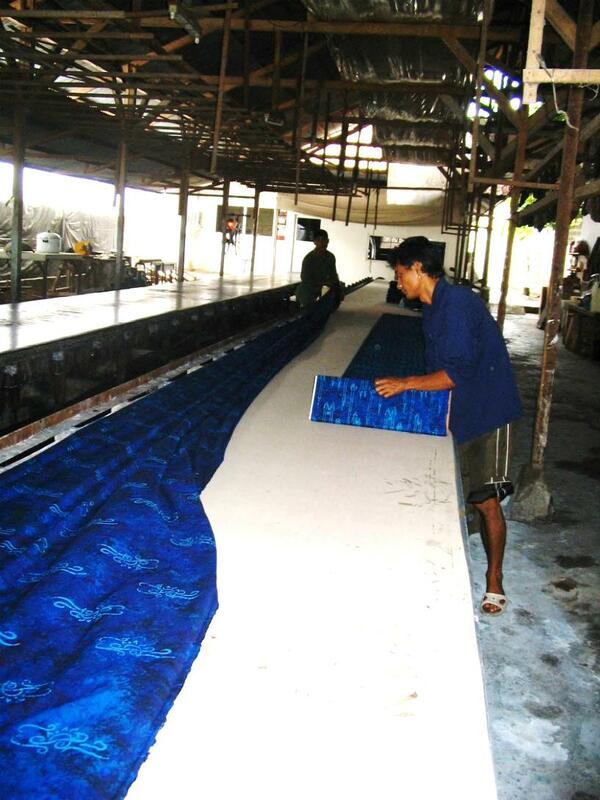 Pre-dyed, tjapped fabric gleaming from the wax that has sealed in the blue color. Next it will be either dyed darker or bleached to produce a dark image and light background. Wax is removed with boiling water. 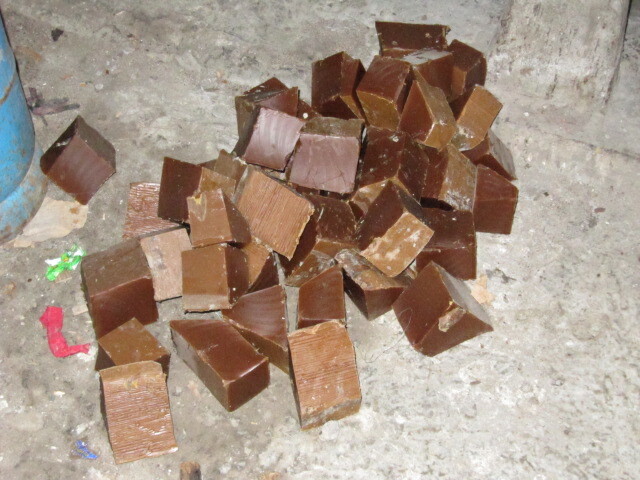 No chemicals are used and the wax can be re-used. The color sealed in by the wax is revealed. 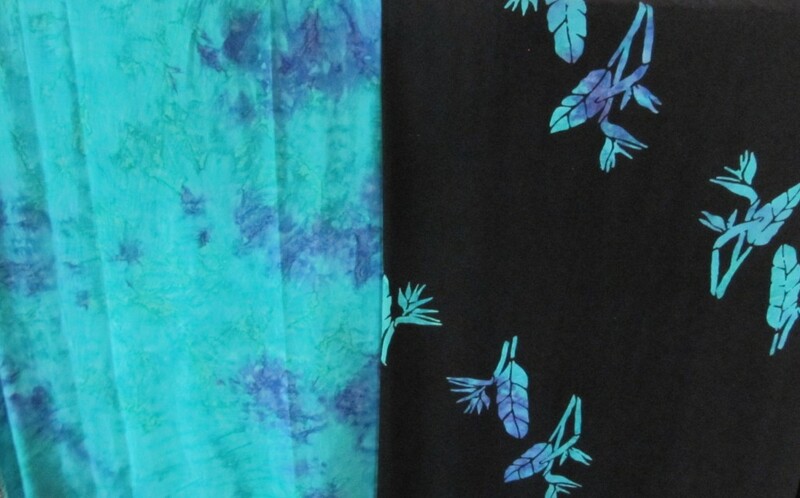 Fabric is often over-dyed to achieve a particular look. 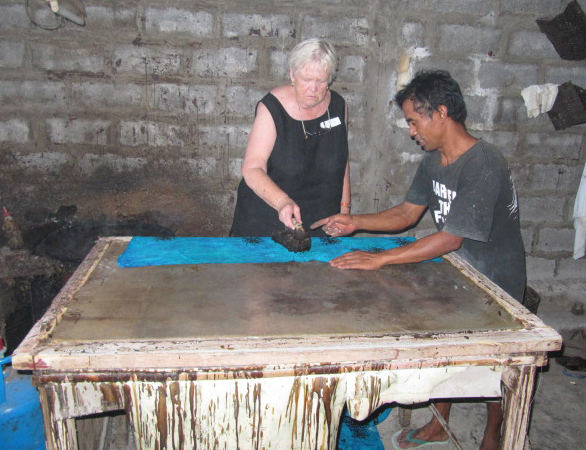 A dyed-to-match coordinate for the batik is possible by leaving some pre-dyed fabric free of wax. 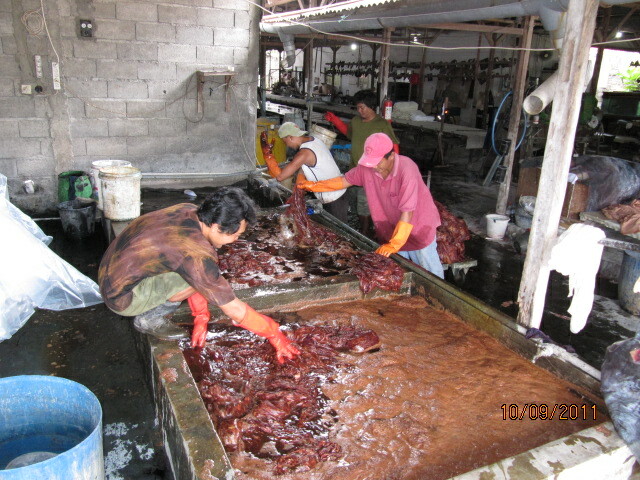 Wet fabric is hung on tiny nails to dry. Sometimes it’s laid out on grass to dry in the sun. 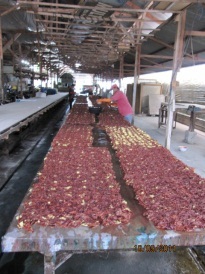 Some dyes require the sun to mature them which poses a challenge during the 6-month rainy season. 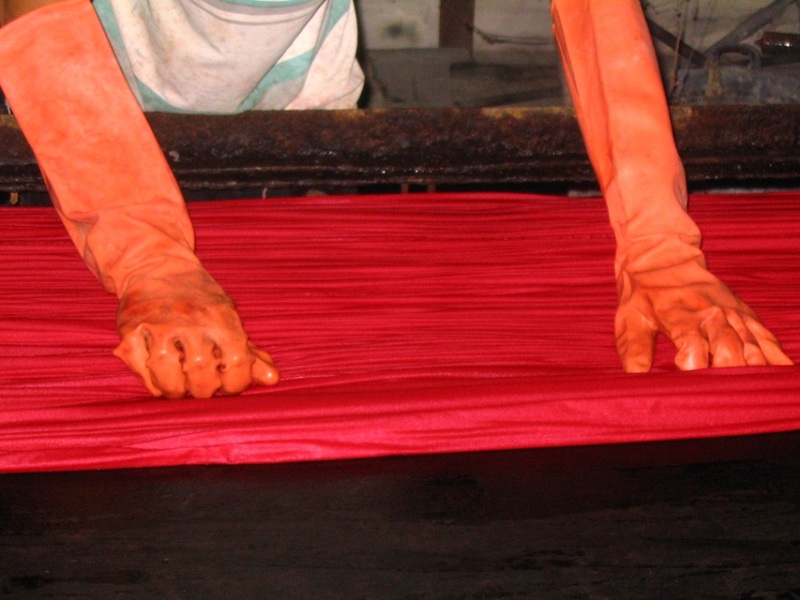 Hand-bolting the fabric for export.